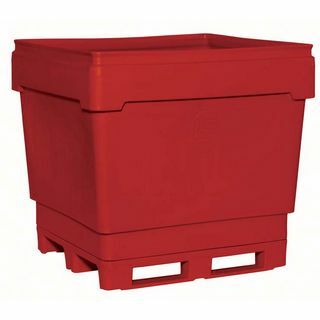 Heavy Duty Monster Bin 2900 Series | BARR Plastics Inc.
Their extra thick corners and base resists impact and wear while their reinforced top edge adds strength and resists splitting. They are nestable and stackable 2-high with optional lids and the 2800 series bins have a footprint of 48"l x 44"w. Stainless steel hardware is available on replaceable bases. Socket bases have molded-in wear pads.